Permanent repair compound - withstands 1000ºF! 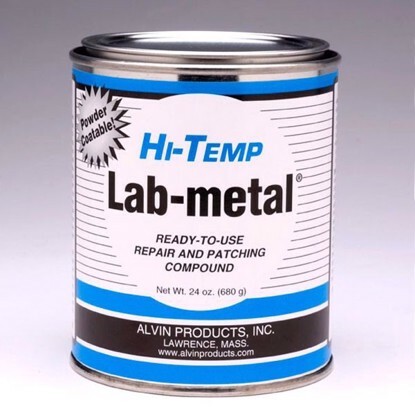 Hi-Temp Lab-metal is ready-to-use right from the can. 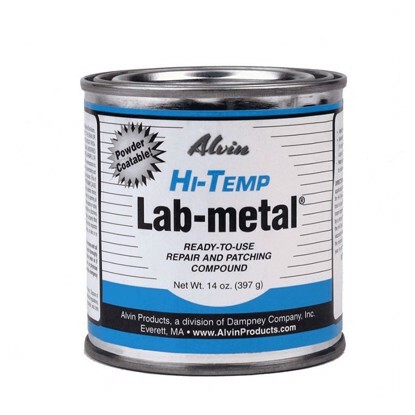 Developed for difficult repairs subject to excessive heat, Hi-Temp Lab-metal withstands temperatures as high as 1000ºF. High temperature epoxy, high temperature putty, body filler, high temp epoxy putty.